Writing during a busy schedule is extremely difficult but ultimately rewarding for me. At the moment I am studying for a degree in Irish Culture and Heritage Studies, so my week nights and weekends are spent doing projects as I am in class during the day. Most nights I play music in some of our well known bars in Wexford. I am also husband and father to two teenage kids so that takes up a lot of my time too! We all I’m sure have these everyday life challenges, I am no different to anyone else. So I grab whatever time I can mainly in the mornings at the weekends. All of my writing is done in bed! It is my space where I can think clearly without “outside” distractions. I also go out with my dogs for a long walk where I can also think clearly. I find nature is a great leveler and feel my mind clearing as I walk. Many of my ideas for my books have come to mind when out walking. As soon as I get home I write down my thoughts. Writing everything down as it comes to me is really important as the old brain can be forgetful at times! The pressure of having a busy schedule actually adds energy to my writing. The characters in my books are always under pressure so the fact that I am under pressure when writing actually adds some realism to my writing I think. 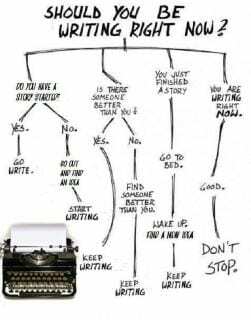 It is vital to maintain a fast tempo when writing crime otherwise it falls flat on its face. So pile on the pressure world, if it adds tension and excitement to my writing I’m willing to take as much as you can throw at me! 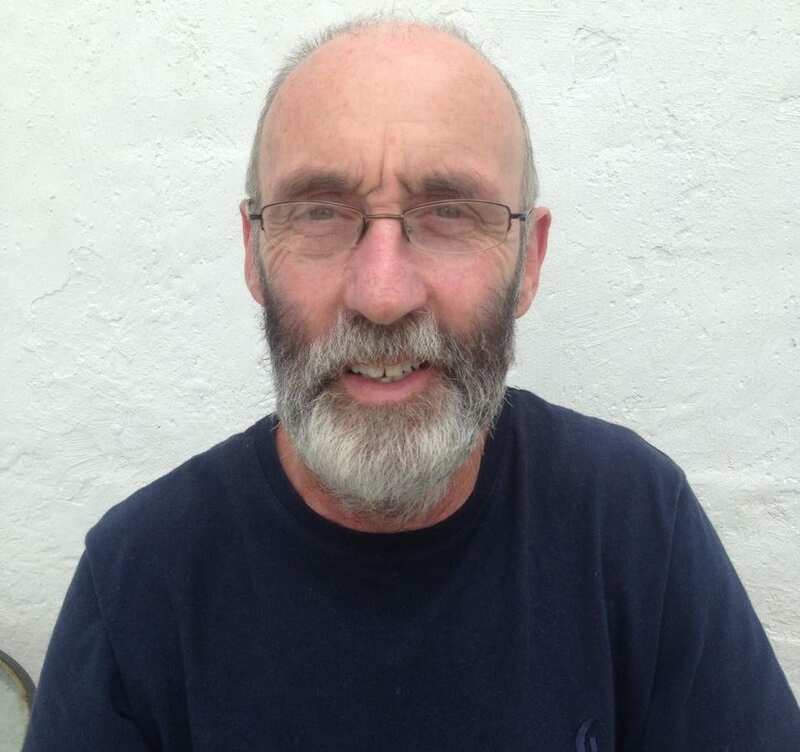 Daithi Kavanagh is 57 years old and lives with his wife and two teenage children in Trinity, Wexford. Up to 2012 when the recession hit Ireland he was making a living as a musician. He then went back to adult education and completed his Leaving Certificate in 2014. He is now studying for a degree in Culture and Heritage Studies at Wexford Campus. While he was studying he began writing ‘The Gun’ which is the first book in The Tadhg Sullivan Series. His second book in the series called The Brotherhood was released in May 2015. He is currently working on the third book in the series. He plays guitar and sings in many of the pubs in his hometown of Wexford where he is often joined by his two children Ella and Rory who play fiddle and flute. In his spare time he likes to walk his two dogs with his wife Caroline. Detective Tadhg Sullivan’s life seems to be falling apart, since being shifted to Clare from Dublin after falling out with the Minister for Justice and the Garda Commissioner. His partner, Journalist Helen Carty, has moved out, unable to live with his bouts of depression and periodic alcoholism. He finds himself once again alone in a world that doesn’t understand him. Suddenly Sullivan is knocked out of his lethargy when a teenage girl goes missing not far from Ennis where he has been stationed. Sullivan is asked to lead the hunt by the local Superintendent and is catapulted into a world of unimaginable horror. 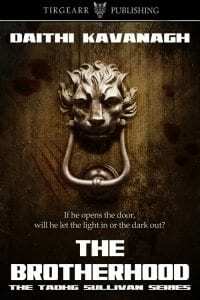 He is confronted by Lord Charles Cromwell the leader of a sadistic cult—The Brotherhood—that derives its pleasures from the torture and murder of young women. Sullivan’s investigation is once again hampered by political interference. 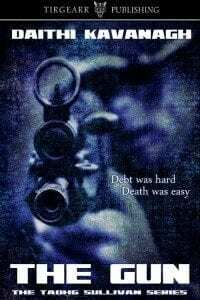 As he fights his way through one bureaucratic obstacle after another he discovers that The Brotherhoods tentacles have not only reached into corridors of power in Ireland but, they are being protected by powerful politicians worldwide. To cut through this protective ring of steel Sullivan finds himself having to engage with some strange bed fellows. Which included an ex CIA agent, Simon Horowitz, who had saved his partners life during his last investigation and an IRA leader, Rory O’Connor, who has recently been released from prison. Will this strange combination be able to destroy The Brotherhood before their murderous reign takes another young life or will Lord Cromwell destroy Sullivan and everything he loves? Excellent article. Illustrates why people who say they ‘haven’t written their novel yet because they haven’t got the time’ are really just admitting that their heart’s not in it. Forever in awe of people who, with other jobs and busy schedules, dedicate the time to write. It’s a calling for those who do, a way of life. Something from which they cannot run.